Sail along 300 glistening miles, from mansions to mangroves on world-famous "Venice of America" waters. Your many charter options include fine dining, guided tours, live entertainment and activities customized for your group. 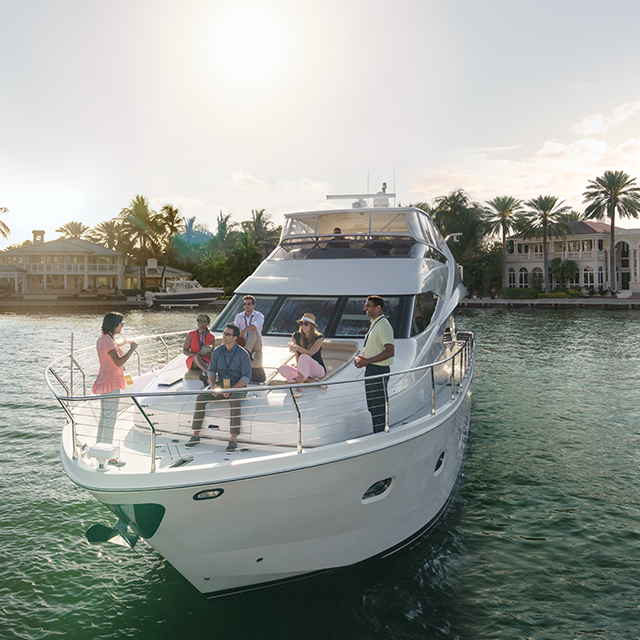 View yacht charter options here. Explore thick mangroves by kayak; rugged terrain by mountain bike; or Atlantic waters by jet ski, speed boat, paddle board, jetpack or parasail. Schedule a Water Taxi Scavenger Hunt through the Intracoastal Waterway or airboat Swamp Safari adventure in the exotic Everglades. Contact the Client Services division for assistance. Groups can book private cooking classes, wine and food pairings and interactive demos at a number of venues, including Chef Jean-Pierre Cooking School and Lenore Nolan-Ryan Cooking School. Get everyone together for some fun and friendly competition at the area&apos;s hottest eat-drink-play entertainment complex. Up to 2,000 attendees can participate in the Ultimate Quest, Company Challenge or Mad Dash. Book a pedal-powered Cycle Party and take your group of 15 pub-hopping along scenic Las Olas Boulevard. Ride together and unwind at O Lounge at YOLO, Vibe, Lobster Bar Sea Grille, Grille 401, American Social and Preston&apos;s at the Riverside. Visitors, event organizers and attendees can calculate the carbon footprint associated with events and travel and make donations to offset their share of that footprint. Program participants receive a certificate of participation and their funds support local tree planting at Plan It Green designated sites. In addition to offsetting carbon emissions, the Plan It Green program expands urban tree canopy providing more shading and cooling and creating wildlife habitats. For less than $2 per person, the average event can be Plan It Green-certified while achieving local and corporate sustainability objectives and protecting the natural environment against future climate impacts. Get started here. Does your company love animals and want to make a difference? The Humane Society of Broward County would like to introduce you to five programs to get you and your company involved…and you may just find your next furry family member at the same time. Click here for more info.